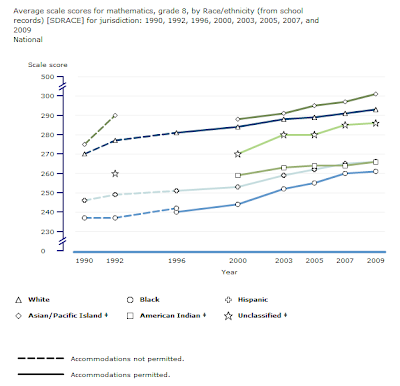 D-Ed Reckoning: Why do we still talk about the Black-White gap in education? Why do we still talk about the Black-White gap in education? 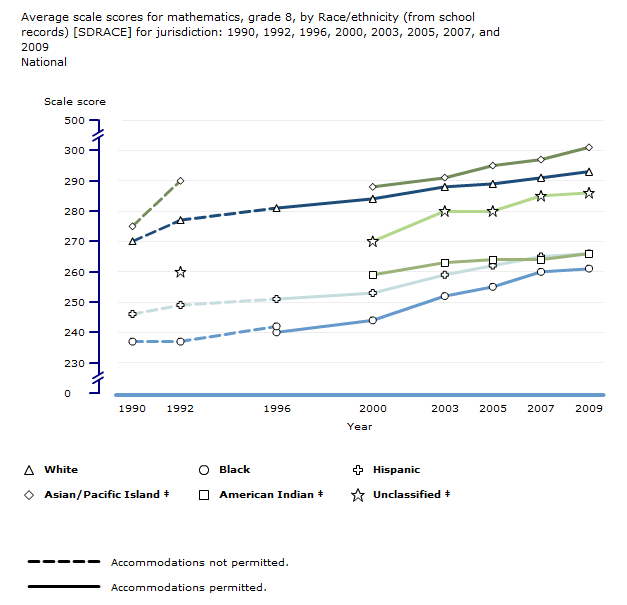 For one thing it would allow us to look at why Asians succeed better than all other groups. It would also get us past the silly discrimination/oppression excuse when we use whites as the comparison group. Last I checked Asians suffered discrimination and yet that didn't seem to hold them back. Lastly, if you're going to talk about gaps between groups, do it the right way -- express the gap in standard deviations not percentage difference. Using standard deviations eliminates much of the mischief caused when percentile gaps are used to compared (more or less) normally distributed groups. And, if you don't understand what I wrote in that last paragraph you don't have an informed opinion yet on education policy.